This product is now obsolete and the nearest replacement is the Kane 9106. 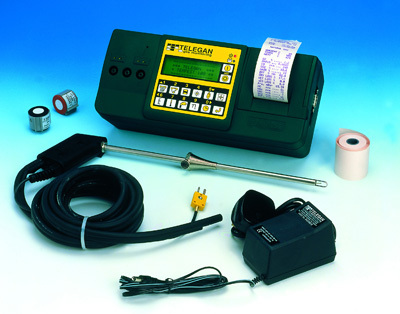 Tempest 100 is one of the most powerful portable combustion analysers you can buy. The combination of multi gas emission analysis, differential pressure and temperature measurement reduces service costs and ensures the safe operation of appliances. Tempest 100 is rugged, portable, reliable and flexible. By choosing up to 6 out of a choice of 7 gas sensors, it can be configured to meet specific monitoring requirements. Data logging can be enabled for remote analysis of emissions, with user configerable time periods.